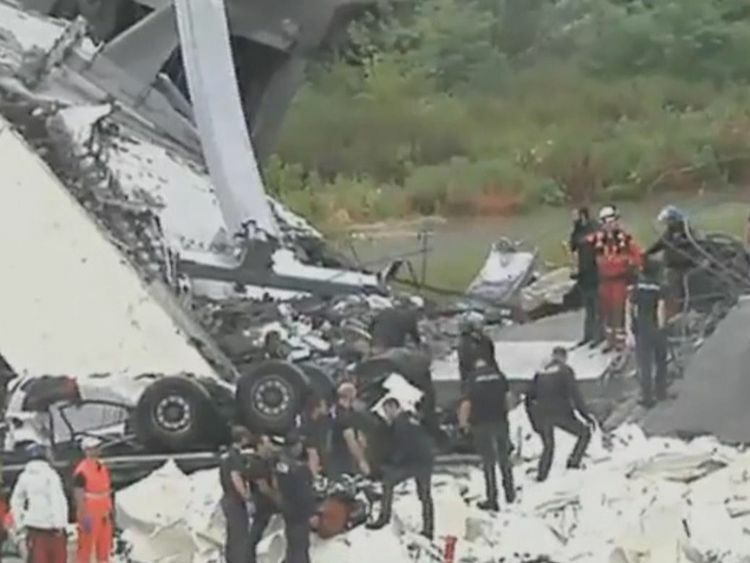 A motorway bridge has collapsed in the northwest Italian city of Genoa and fire brigade sources say 35 people were believed killed as vehicles plummeted to the ground. Dramatic video footage captured the moment of the disaster when one of the huge supporting towers crashed down during torrential rain. Vehicles and debris fell 45m (148ft) on to rail tracks, buildings and a river. Searches for people trapped in rubble are expected to go into the night. 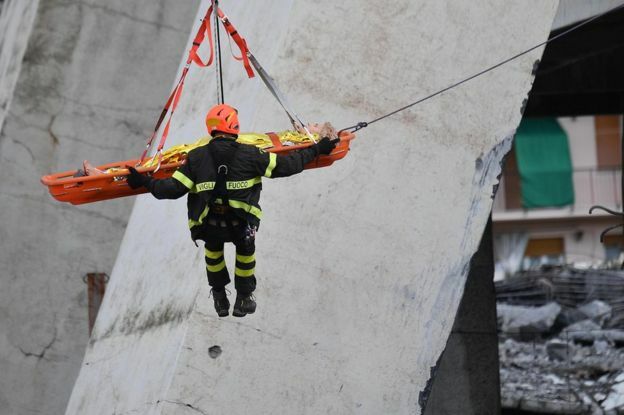 Fears that other parts of the bridge might fall have prompted the evacuation of buildings in the area, a rescuer told Italy's Ansa news agency. Interior Minister Matteo Salvini promised that anyone found to be responsible for the bridge collapse would be held to account. "I have crossed that bridge hundreds of times," he said. "Now, as an Italian citizen, I will do everything to get the names and surnames of the managers responsible, past and present, because it is unacceptable to die like that in Italy."